Zainab Akhter graduated from Aga Khan University School of Nursing as a Registered Nurse in 2003. During her 12 years of nursing experience she has worked in an Intensive Care Unit (ICU), aged care facilities and Medical Surgical Units in Pakistan and Australia as a Registered Nurse (RN). Zainab has also worked in several Registered Training Organizations as a Nurse Educator, E- Learning Educator, Course Coordinator and Program Manager for the Diploma of Nursing. Currently she is the Operations Manager, Nursing at Box Hill institute. Zainab has a passion for nursing, quality education, vocational standards, team work and a commitment to continuous improvement. Giselle Mitchell graduated from Australian Catholic University with a Bachelor of Nursing in 2006. During her 10 years in Nursing she has worked in both the Public and Private sector within Victoria. She was also a Clinical Nurse Educator at Eastern Health for 5 years and Undergraduate Clinical Facilitator at Healthscope – Knox Private Hospital. 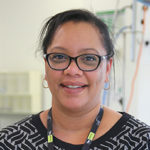 After completing her Certificate IV in Training & Assessment at Box Hill Institute, she had commenced her career in Nursing Education as a Clinical Placement Co-ordinator also at Box Hill Institute. Giselle has a passion for building industry partnerships and ensuring students are given the optimal experience in the relevant health care settings. Giselle aims to ensure students in Nursing receive quality experiences and learning opportunities relevant to their knowledge and skill set. Her aim is to enhance the quality of teaching and student learning. 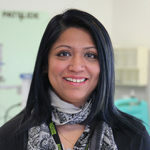 Giselle has thoroughly contributed to developing the use of Simulation Based Learning for students to gain real time experiences during their training. 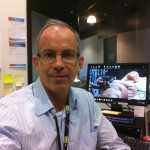 Trevor Snow’s career spans a thirty year association with Medical Education and Research programs in both Hospital and Tertiary Education settings. He has worked with Medical, Nursing, and Allied Health groups in both Undergraduate and Postgraduate programs in his role as a Simulation Specialist. During this period he worked in Research and Teaching Institutions in the United States of America where he received his initial Simulation training. Trevor has a unique skill set which includes Veterinary skills, Microsurgery skills and computer skills for a wide range of High and Low fidelity manikins, procedural skills trainers, the use of virtual reality trainers and training incorporating simulated actors. He has developed an in depth knowledge of the daily workings of a simulation facility and understands its benefits and impact on student education. Played a key role as the Simulation adviser on a Project Management Team to develop and expand simulation training incorporating a mobile platform (a dedicated simulation vehicle), the first of its kind in Melbourne. Collaborated on a successful multi-million dollar application to the Australian Department of Health (DOH) to develop a variety of new Simulation Learning Centres across Metropolitan Melbourne. Developed a simulation scenario which subsequently led to a large public Hospital receiving accreditation to harvest patient organs post cessation of life. Supervised the daily operations of a Clinical Skills Simulation Centre which included an attached Microsurgery and Anatomy Laboratory in a large inner City teaching Hospital in Detroit, Michigan, USA.